One of the ultimate goals and hopes of parenting is for our children to grow into independent, self-sufficient adults. 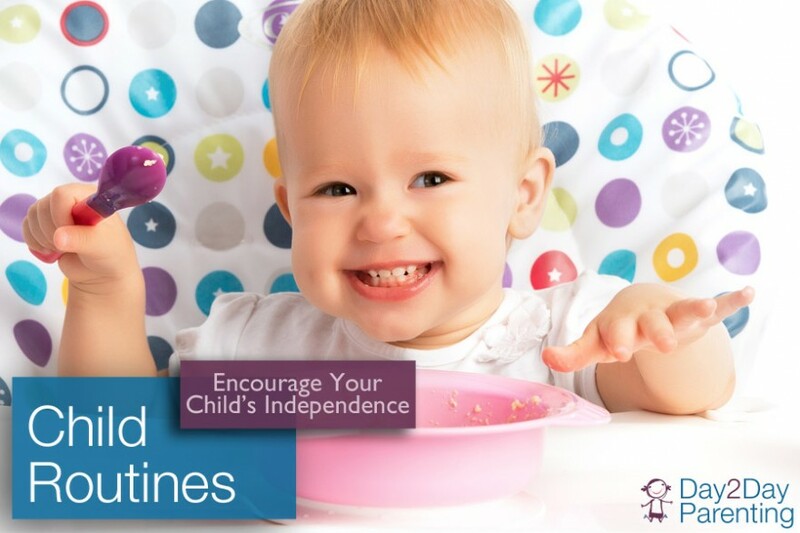 The building blocks for that independence are your child’s daily routines. By helping your child learn to do things like dress and feed themselves, communicate in a healthy way, and play independently, you are laying the foundation for your child to seamlessly transition into adulthood (and it gives you a little break as their independence grows!) Our resources are here to guide and support you as your child learns these valuable skills, no matter their age group or developmental stage. Work with your child on bath time, diaper changing, potty training, and more. Learn about mealtime routines for infants through school age children. Help your child with nap time and bed time. Discover activities your child can do during quiet time. Learn about the importance of tummy time and other important developmental stages. Help your child develop her communication skills.